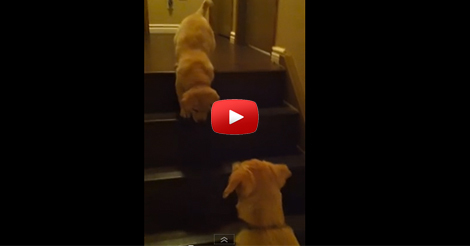 Puppy teaching Puppy to go down stairs! Puppy teaching his fellow puppy is the cutest thing ever! The small pup was too scared to go down the stairs then the big pup came to the rescue! He showed the small pup how to do it… and he even motivated him that its safe to do it. He constantly showing it to him and he also headbutt him to try going down! Humans helping one another is no longer a surprise… but when dogs helping their own is such an adorable sight! There’s a reason why dogs are lovely… watching this will make you fall in love with dogs once again. When the small pup backed out and the big pup came to the rescue is very very lovable! It is just so sweet of the big dog that it almost make me tear-up. Enjoy and SHARE this video all your friends. COMMEND if you think they are the cutest! 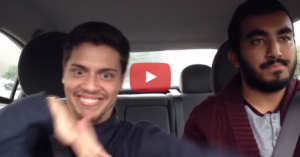 This Car Ride Between Two Friends Went From Mundane To Ridiculous As Soon As The Radio Came On! I’m Laughing So Hard! 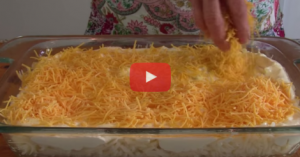 This Secret Recipe Is Not So Secret Anymore! Try This For Yourself! Yum!